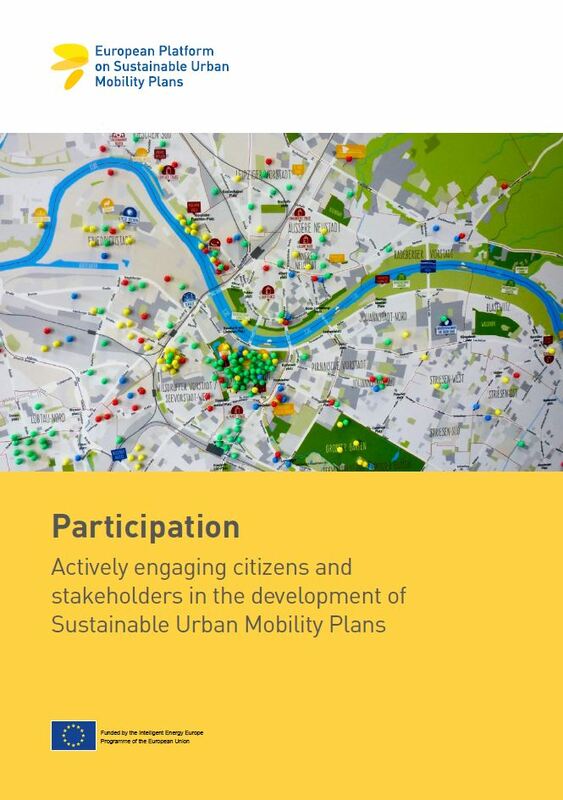 The Participation Kit is dedicated to providing practical advice underpinned by city examples on engaging citizens and stakeholders in the Sustainable Urban Mobility Plan (SUMP) development process. It provides information on how to integrate participation into the transport planning process and prepare, manage and evaluate involvement activities. Online learning course: an interactive e-learning course inviting interested mobility practitioners to learn more about participation at their own pace and from anywhere in the world. The e-learning course can be taken at the Mobility Academy. The Participation Kit has been developed in the CH4LLENGE project, which is co-funded by the European Commission’s Intelligent Energy Europe Programme and has the overall aim to facilitate the take-up of SUMPs throughout Europe.